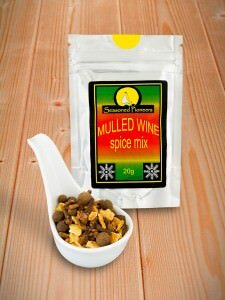 Pour the wine and orange juice into a pan with half the pack of Mulled Wine Spices. Add the sugar then slowly bring to the boil, stirring until the sugar dissolves. Simmer for 5 minutes and than take off the heat and allow to infuse for 15 to 30 minutes. Add the pears to the liquid then gently bring to a simmer and cook them for up to 40 minutes, turning the pears occasionally until they are cooked but still holding their shape. Remove the pears to a dish with a slotted spoon and bring the liquid back to the boil and simmer until it has reduced by half and is syrupy. Allow the liquid to cool slightly and then pour over the pears. 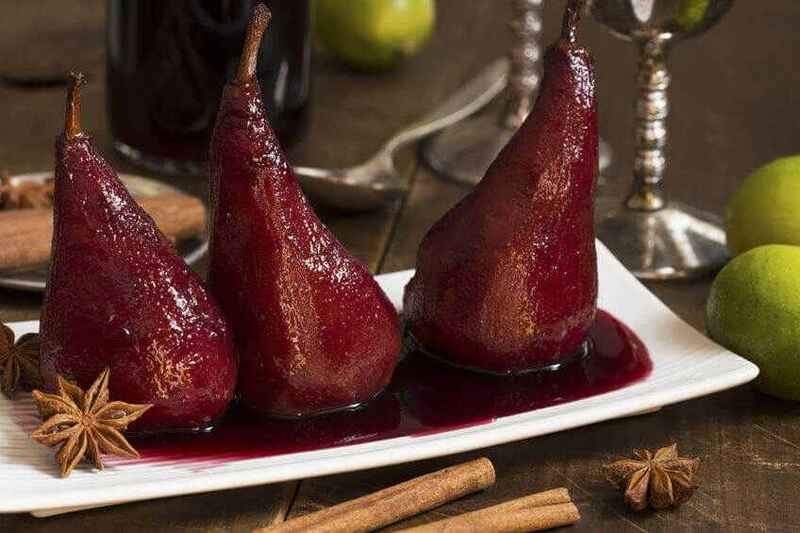 Serve the pears cool with cream or creme fraiche.